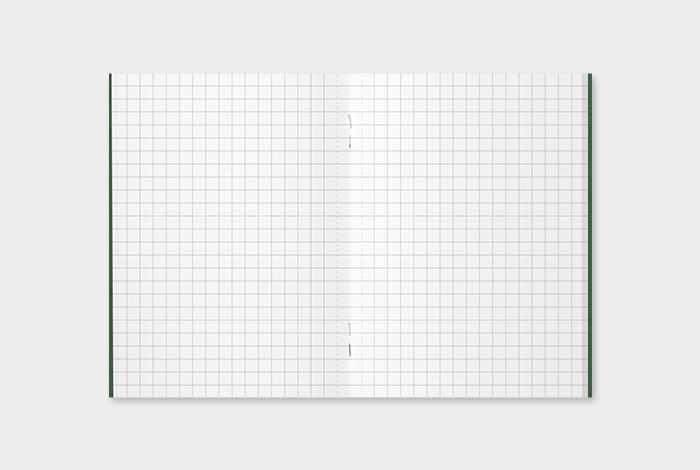 This is a graph notebook ruled into 5mm squares. This makes it easy to write and draw on it. But it’s worth mentioning that it doesn’t look that bad when you write and draw beyond the grid. Our original paper (DP paper) is used for this refill, and there are perforation lines on all the pages, making it easy to tear off. *Starting from March 2016, the Passport Size Grid Notebook will change its specification. The paper will be changed to MD Paper, and the number of pages will be changed to 64 pages without any perforation line.